When England hosts Nigeria on Saturday, it will be the third official encounter of both countries even though there had been an unofficial match on May 24, 1958. 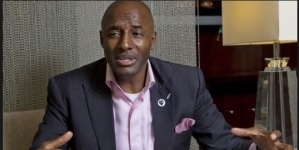 Www.sportsvillagesquare.com recalls that that encounter was between the Nigerian national team and England amateur side played at the waterfront Onikan Stadium, both Nigeria and England will be meeting officially for the third time. The 1958 encounter was a reciprocal duel of the UK Tourists of 1949. 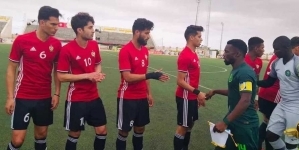 The England amateur side on goodwill tour of West Africa won the match 5-0. Encounters of both countries in the past had produced landmarks for eternal storage. When the Super Eagles met England on November 16th 1994, even though it was not intended, the occasion marked the 90th birthday of Nigeria’s first president, Dr. Nnamdi Azikiwe who was a keen sportsman. 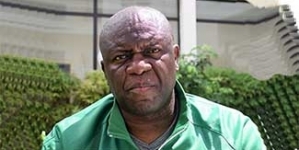 At the first official match of both England and Nigeria, the late Amodu Shaibu made his debut as the Nigeria manager. He went on to become a recurring decimal in the handling of the Super Eagles with which he had five spells. When the Super Eagles met England in 1994, it was the first time that the Nigerian players wore Nike shirts having at the World Cup been kitted by Adidas. The shirt that Nigeria wore for the 1994 was the first home kit Nike made for the Super Eagles. It was traditionally predominantly green but had green, white and black mosaic pattern from the sleeves to the shoulder. The collar was black and the name NIGERIA was inscribed in shadowy lettering on the chest region. It was the only time the Super Eagles wore the attire, even though the away version, predominantly white was used in subsequent matches, especially at the Intercontinental Cup, now renamed FIFA Confederations Cup. When Nigeria faced England at the Nagai Stadium in Osaka, Japan on June 12, 2002 in an encounter that ended 0-0, Vincent Enyeama made his World Cup debut. He went on to guide the goalpost for Nigeria seven more times to be capped eight times in the World Cup. Previous encounter of Nigeria and England had produced only one goal scored by David Platt with a header just before halftime. The next match in Japan ended goalless.